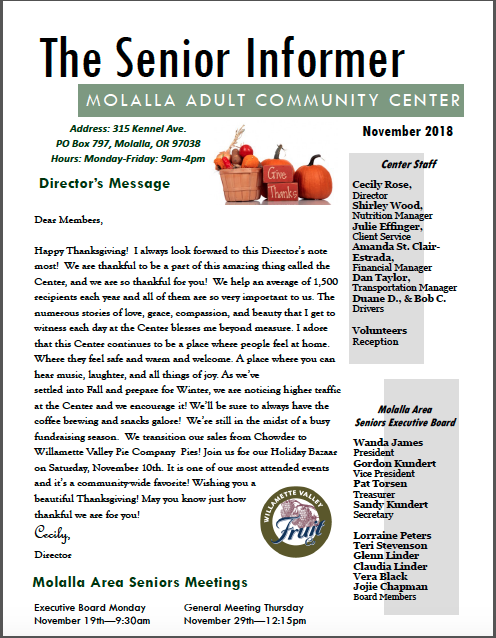 Home / Newsletter / Read The Senior Informer: November 2018 Edition! 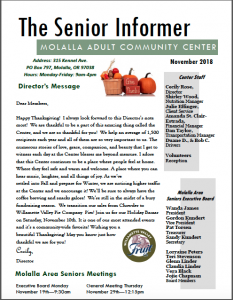 Read The Senior Informer: November 2018 Edition! Center Updates & Notices →← November 2018 Birthdays!